We don’t often post about crimes against banks, especially when they involve clients, but this story out of Kansas City deserves a wider audience. A 70-year-old man is charged with robbing a Kansas City bank (located just down the street from the police headquarters), after handing a note to a teller indicating that he had a gun and demanding money. He then proceeded to take the money and a seat in the bank lobby. When I say he took a seat, I don’t mean he physically removed a chair, but rather that he simply sat down. His rationale appears to be that he would prefer to live in a jail cell than with his wife, with whom he he’d had an argument. You can read more about it in the Kansas City Star. Unity Bank in New Jersey is taking advertising to a new extreme. Enjoy your day. As lawyers regularly representing community banks, we are frequently reminded of the level of regulatory scrutiny and intrusion experienced by the industry, and at times the almost laughable results of strained regulatory interpretations. However, I think our health care lawyer colleagues may have us beat. As explained in this Bryan Cave client alert on the Regulatory Guidance and Legal Implications Associated with the Transition to ICD-10, physicians and other health care providers are required to use an official system of assigning codes to diagnoses in the United States for billing and record keeping of health care services. Effective October 1, 2015, the ICD-10 code set replaced the former ICD-9 code set. The ICD-10 set includes over 68,000 diagnoses, and to say they are expansive and detailed significantly understates any rational interpretation of those concepts. I’m not sure what you’re supposed to report if the patient is struck by a turtle thrown by an in-law, but please reach out to us if you have a bank regulatory question. 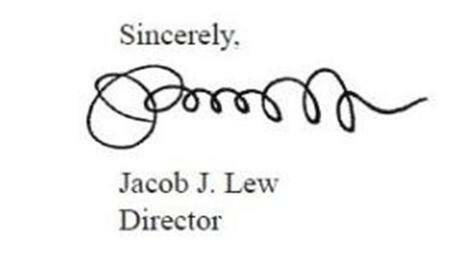 We previously made a brief mention of Jacob Lew’s signature, and its general state of illegibility. Common Financial Reporting Issues Facing Smaller Reporting Issuers (PDF) – SEC Corporate Finance Staff address common issues faced by smaller reporting companies. OCC Proposes Annual Stress Testing Rulemaking – OCC proposal for annual stress testing of banks between $10 and $50 billion in total assets. 2013 Stress Test Results -Federal Reserve publishes detailed results of 2013 stress tests. March 2013 Beige Book Commentary – Federal Reserve Bank of Atlanta offers commentary on the commentary of the economy provided by the Beige Books. The Federal Reserve is on Flickr – Need a picture of a Federal Reserve Governor, Federal Reserve testimony or the Federal Reserve hard at work? That’s what the internet is for. For banking-related content from around the web on a real-time basis, follow @RobertKlingler on Twitter. Underwater and Drowning? – The Federal Reserve Bank of New York published this blog post about controversial plans for using eminent domain to seize and restructure underwater mortgages. Dollars and Cents – The Federal Reserve Bank of Atlanta brings an old print brochure into the 21st century with this online history of U.S. currency. 2013 Key Banking Issues for Congress – The American Bankers Associations provides background on the industry’s top policy issues, including the credit union tax exemption, Basel III, municipal adviser registration requirements and the Volker Rule. Map of Underwater Home Mortgages – Zillow provides this interactive map showing the percentage of homes underwater throughout the United States. What if the Hubble telescope was pointed towards Earth? – Not nearly as clear as I thought it would be. Comptroller of the Currency Speaks at Acquire or Be Acquired – The Comptroller spoke of the OCC’s need to balance holding directors responsible while also being supportive of directors that are doing the best they can. Fed Governor Duke Speaks on the Future of Community Banks – Speaking at the Terry College of Business’ Southeastern Bank Management and Directors Conference, which was sponsored by Bryan Cave, Betsy Duke emphasized the need for community banks to continue to speak up on the unique impact of banking regulations on community banks. FDIC Board Meeting Scheduled for Tuesday, February 12th – The FDIC Board is considering providing notice of proposed rule making regarding the definition of insured deposits. FRED Excel Add-in – The Federal Reserve Bank of St. Louis makes available an Excel add-in to allow easy importing from the Federal Reserve Economic Data (i.e., FRED). Bryan Cave and New York City both lost a friend in the passing of Bryan Cave Partner Ed Koch. Both the New York Times and BuzzFeed offered beautiful obituaries. Fed Cartoon Explaining the Central Bank System – The Atlanta Federal Reserve Bank provides this animated video to explain the history of the Federal Reserve System and how its three main functions help foster a stable financial system and a growing economy. Atlanta Fed Survey of Regional Employment Trends – “We can conclude that hiring activity in our region appears to be improving slowly.” I can only think of snarky comments, so I’m going to let this speak for itself. What if you went swimming in a nuclear spent fuel pool? -Turns out it appears to be safer than the banking business generally. Treasury Announces Next Round of TARP Auctions – The latest round of Treasury auctions includes the first TARP recipients that are currently in deferral on their TARP CPP investments, which could provide significant guidance on the value of a significant portion of the remaining pool of TARP investments. In contrast to earlier statements regarding the intent to allow “all-or-none” bids, the Treasury elected not to permit the submission of such bids. Winding Down TARP: A Progress Report – Overall, to date, Treasury has recovered nearly 93 percent ($387 billion) of the funds disbursed for TARP ($418 billion); and TARP’s five bank investment programs have earned a significant profit for taxpayers. To date, Treasury has recovered $268 billion through repayments and other income, which represents a positive return of more than $23 billion compared to the amount ($245 billion) initially invested. Economic Indicators Dashboard Updated – Russell Investments updated its Economic Indicators Dashboard, which attempts to provide statistical evidence to establish the state of the economy. American Bankers Association Publishes “Business of Banking” – “The Business of Banking: What Every Policy Maker Needs to Know” reviews the basics of banking and provides a foundation for understanding how banking policy decisions affect communities and constituents. Dallas Fed Publishes “Financial Stability: Traditional Banks Pave the Way” – Dallas Fed concludes America’s numerous community banks, small and traditionally oriented, demonstrated stability during the crisis and its aftermath. Atlanta Fed Analyzes Southeastern Housing Market – Southeastern housing contacts ended on a positive note in 2012. 75 Facts About Secretary Geithner – Fact Number 76. You really have to stretch to come up with 75 interesting facts about Secretary Geithner. Doreen Eberley Appointed Director of Division of Risk Management Supervision – Former Acting Regional Director in Atlanta, Ms. Eberley will now be in charge of all risk management supervision for the FDIC. December 2012 TARP Monthly Report to Congress – Treasury reports that the bank investment programs under TARP have already generated $23 billion in positive returns to US taxpayers. Treasury Announces Another Delay to Pooled TARP Auctions – In light of “strong market receptivity” to the earlier auction rounds, Treasury is providing remaining smaller TARP entities another 90 days to opt-out of the pooled auctions. This presumably indicates that Treasury has no plans to conduct pooled auctions until May at the earliest. Hilarious bad lip reading of NFL players – Worth it just to hear Peyton Manning extoll the benefits of potions to make his wide receivers run faster. Rise up, Atlanta! Harvard Blog Post on Optimal Bank Capital Regulation – New paper concludes that BASEL III is a move in the “right direction” with regard to establishing better capital requirements in this review of the procyclical effects of bank capital. CFPB Publishes Revised RESPA and Truth in Lending Act Regulations – Further analysis forthcoming on BankBryanCave and a free webinar through BAI featuring Bryan Cave attorneys John ReVeal and Barry Hester on Tuesday, January 22, 2012. FSOC Extends Comment Period on Money Market Fund Reforms – The Financial Stability Oversight Council is providing another month for comments on for money market mutual fund reforms. Agencies Issue Final Rule on Appraisals for Higher-priced Mortgage Loans – The requirement for higher-priced home-purchase mortgage loans is intended to address fraudulent property flipping by seeking to ensure that the value of the property legitimately increased. White House Rejects Petition to Build Death Star – While sharing the desire for job creation and strong national defense, the White House rejected on the petition to commence construction of a Death Star on three principal grounds: (1) construction costs estimated to be $850,000,000,000,000,000; (2) the Administration does not support blowing up planets; and (3) concerns regarding a fundamental design flaw that can be exploited by a one-man starship. Federal Reserve Bank of Boston Releases iPhone App – The App, which is a currency trivia game, is currently getting good reviews.